Often when establishing a shared service, or even if you are a few years in, there can be a lot of issues around defining the structure of a Shared Service to increase operational efficiency and reduce costs. However one important aspect of Shared Services that is increasingly coming to light is how you structure your operations to benefit your customer and stakeholders too! This workshop will examine some of the different operating models you can set your Shared Service up as. 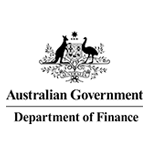 We will look at how the Australian Government Department of Finance took an iterative approach to building the whole of-government shared services program, with a 360 degree feedback model throughout implementation, where they took advice of their hubs and clients to build a more effective shared services. Check out the incredible speaker line-up to see who will be joining Chrysanthe.